Indian Education System is Flawed ! Indian Education System is very outdated, and we require to revolutionize it to produce quality students for a better Indian future ! That's what this blog is all about. It's time for a change ! If you are an Indian student, and frustrated by the quality of education being provided to you, then please spare 5 minutes to read this post. It's just a simple summary of where our education system lags behind and how these shortcomings can be removed. Indian education needs a long pending change. 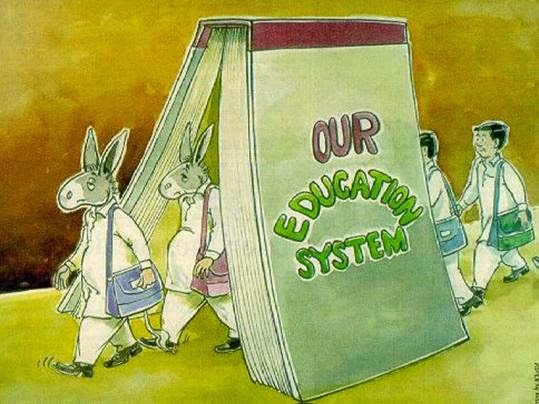 India's education system has been very static and outdated. It hasn't been updated much since long. --> Rote Learning: People perceive rote learning as being educated which is clearly not true. The emphasis has never been on understanding, gaining the "real knowledge". If someone can mug it up and vomit it out in the examinations he is considered intelligent else of "no-use". Education's should be aimed at imparting knowledge. --> Marks : All the studies done are just for the sake of the marks, Is getting marks the only motto of studies ? It's so baseless to judge a student by his/her marks. Marks will never be able to test our innovation, knowledge. Marks are just a reflection of how much we can memorize.We are never required to do innovative & creative things ! Priority should be given to field work, project work based on original ideas (not copy pasted from google). That's how Indians will become inventors, not just the users. 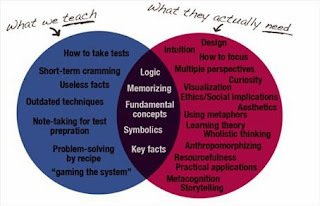 --> Too Theoretic : Subject like Science was not invented on papers, but in India it's all about theory ! In school we have 8-10 theory periods compared to only 2 practical periods per week ! Is this what science is ? Certainly not ! Yes, theory is important but only and only when accompanied by practicals. --> The great Indian Coaching Culture : Coaching centers have bloomed in India in past few years as a major source of business ! Particularly because 75% of students want to become engineer/doctor by will or by force. 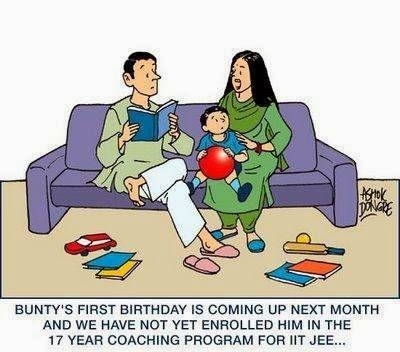 Coaching centers make big sum of money, make a student's life hell ! I feel entrance should be based on project work (original) done by student, his level of thinking, knowledge. Also, BAN coaching institutes ! --> The orthodox mentality : Parents/teachers feel that engineering is the end of the world. That is why even with the population of billions India lags far behind in many fields such as sports (leaving cricket of course).At school level students should be encouraged to take part in Extra Curricular activities and sports.If everyone works according to their talent, they are bound to excel in it ! This is going to happen very soon ! --> Outdated : India is still stuck with chalk and talk theory. Time has changed now, and it's high time to integrate technology with studies and make it more interesting. Technology can have a very good influence on the Indian education. --> Biased Teaching : Teacher's in India are highly biased. Chaploos students are ALWAYS given priority ,be it marks, giving opportunities in competitions or for that matter anything ! Teachers tend to demoralize those are are not able to score marks just because he/she cannot memorize !! It's high time to remove these drawbacks ! India is the country with maximum youth population and maximum human resource. If situation is not changed at the earliest then we might end up having a disastrous future. Right now is the time when changes in the Indian education system should be introduced to get the maximum output in the future, to become inventors not only the users ! - I hate Indian Education system (Facebook). Note : Please share it with your friends, and if you have anything to say comment below ! Siddharth. Simple theme. Theme images by fpm. Powered by Blogger.